The list of obesity health problems is starting to expand as a growing majority of people becomes overweight and obese. The most important causes of obesity are cultural influences on eating habits and physical activity. 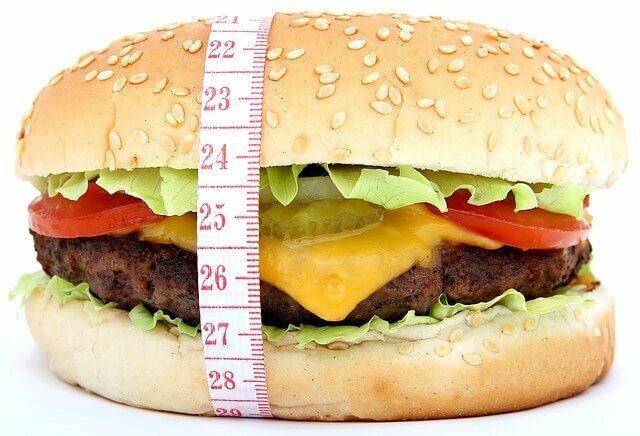 There is one obesity health problem that you have to take into serious consideration: your quality of life! Not being able to move around comfortably, chase after your children, fit into the seats on a roller coaster, and just do all the little things that make life so enjoyable drastically deteriorates your quality of life. If you are obese and believe that you have not been held back from anything that you want to do in life, take some time to make a list of all the things that you would love to do but haven't just yet. Now ask yourself how many of those things could comfortably and energetically be accomplished at your current weight. This is often an eye-opening exercise for those who believe obesity has not held them back in any way. Chances are your daily life is being impacted in more ways than you realize right now. Here's the great news: losing just 10% of your weight can make a drastic improvement in how you feel and how well you are able to move around. That amount of weight can be lost in a very short period of time with the Mediterranean diet - my Free Diet Meal Plans, and it could add years onto your life! If you are like millions of other people out there, you may know that you are not at the ideal body weight but you may also feel your situation is not that bad. Far too many people assume that they are "just a little overweight" or "a bit chubby" only to find when they check their BMI that they are actually obese. So, do you think you could be putting your health and your life in danger by carrying around excess stored fat? If you think you are, then it's important to read on and learn about the different obesity health problems that could be headed your way (or already present). If you think your weight issue is not life-threatening, read on anyway to see if any of the common symptoms of obesity apply to you. There are a wide variety of symptoms of obesity, but the most important one is your waist size. Excess fat stored around the abdominals (visceral fat) puts your body at an increased risk of obesity health problems, specifically heart disease. For women, the ideal waist size is 32.5 inches. 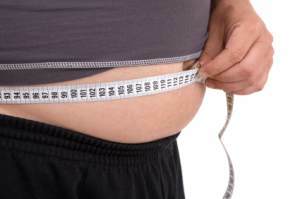 The ideal waist size for men is 35 inches. The more you go beyond that number the higher your chance of being classified as obese. Other symptoms of obesity center around a reduced ability to move freely without restriction or pain. Most people who are obese have difficulty standing up from the floor, breathing correctly while walking up stairs or walking a long distance and those who are morbidly obese may have difficulty breathing while they sleep. If your joints and muscles ache or throb with just a small amount of physical exercise than chances are your weight has become too much for your body to naturally handle. You may also have reduced energy levels and feel lethargic and exhausted much of the time. Many people have a combination of these symptoms of obesity but once they start losing the weight they revive their energy and wonder why they spent so many years suffering with those symptoms of obesity! If you are feeling any combination of those symptoms, then chances are your body is at serious risk of developing the many obesity health problems. In fact, you may already be suffering from some health conditions that you are not aware of just yet! While some of these obesity diseases are permanent once you develop them, others can be completely reversed if you make the right lifestyle changes to get your weight under control. Ideally, you should aim to make those changes before you actually develop the health conditions to begin with, but for many people finding out they are diabetic or that they are nearly choking themselves to death each night with sleep apnea is the wake-up call that springs them into action. Don't be one of those people! Recognize the symptoms of obesity and combat the problem before you get cancer or become diabetic.